There’s nothing worse than being one of the first to do something, and the seeing hundreds of other people do the same thing over subsequent years and take away the originality of your concept. This must be how it feels to be Eurogrand Casino, launched in 2006, Eurogrand was one of the first of the new breed of online casinos to truly embrace the concept of affluence and elegance as its theme, and at the time this idea was fairly unique. Fast forward a decade, and it’s hard to turn anywhere on the internet without finding a casino site that uses those same themes, and Eurogrand runs the risk of appearing derivative if it doesn’t evolve with the times, which is barely fair. That being said, Eurogrand Casino has a strong and loyal customer base that it has built up over the years it has been around, but is that enough? What does this site bring in terms of content to keep it at the top and not find itself lost in the pack? As you would expect, the colour scheme here is black and gold and full of decadent imagery, the site looks nice, and I’m sure in 2006 it would’ve looked incredible, but the amount of other sites that have since utilised the same theme just makes Eurogrand look like another one. It should be respected that this site has stuck by its guns and maintained the same theme despite all of the sites that have placed themselves in direct competition with it, but at the same time it may be time to move on to something else, or at least update the theme in some way to set it apart again. It is a shame that the design concept here now looks predictable due to the sheer number of sites that have taken the same approach, but it has happened, and something should be done. Looking past the basic design theme though, this site is very simple to navigate, and everything is well categorised and set out to ensure that whatever you are looking for can be easily found. The execution here is top notch, even though Eurogrand is a decade years old, it still carries its theme through better than the majority of its competitors. The software here is provided by Playtech. This is a sentence that immediately inspires trust in anyone who has spent any amount of time on the online casino scene, as Playtech are undoubtedly up there with the best around. 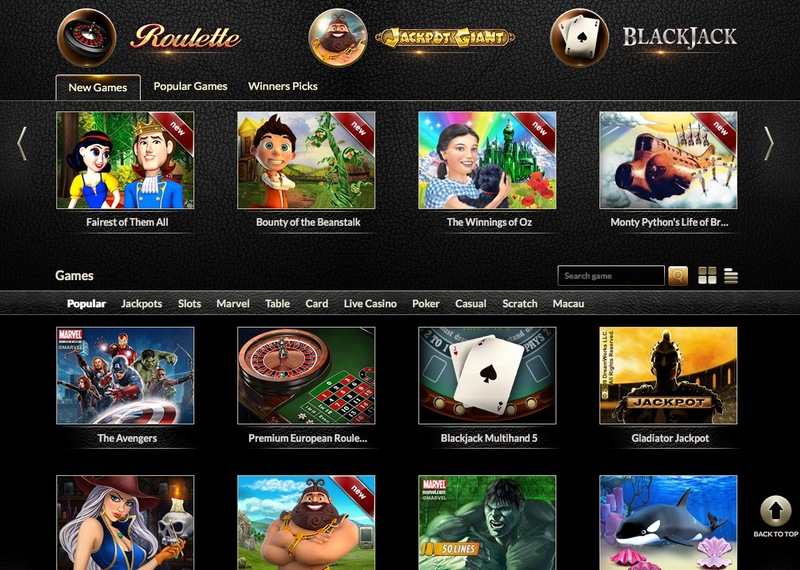 There is not the largest selection of games available here, but a lot of gaming types are represented, a fair choice of slots, alongside table games including video poker, roulette, and baccarat, and a few scratch card games means that there is something for everybody, even if it is a very limited collection. Eurogrand, being the one of the old school (which is weird to say for a site that is just ten years old, but when you think of the amount of sites launched every year since, it is certainly true) runs the risk of being left in the dust a little by its competitors if it doesn’t update its theme a little and add a wider choice of games, but it is still a decent casino, especially recommended for newbies who will find the site a useful introduction to online casino play.